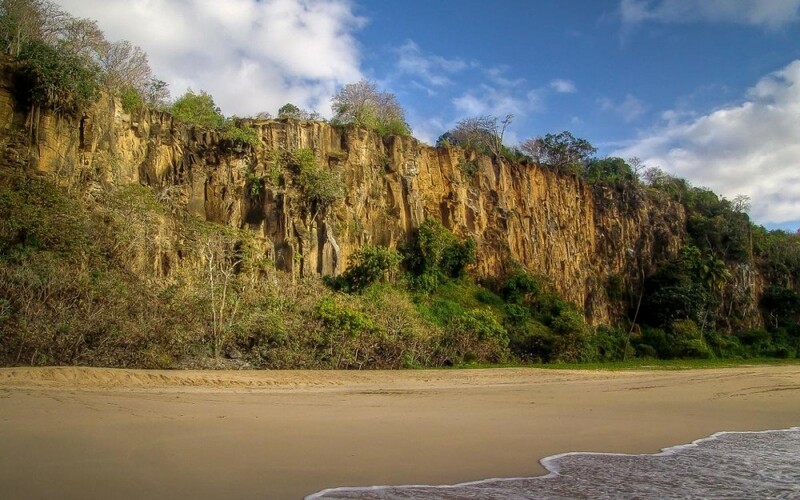 I heard this countless times when I was traveling in Brazil and long before reaching this remote island I was curious and wondering why it appeared to be such a coveted destination. 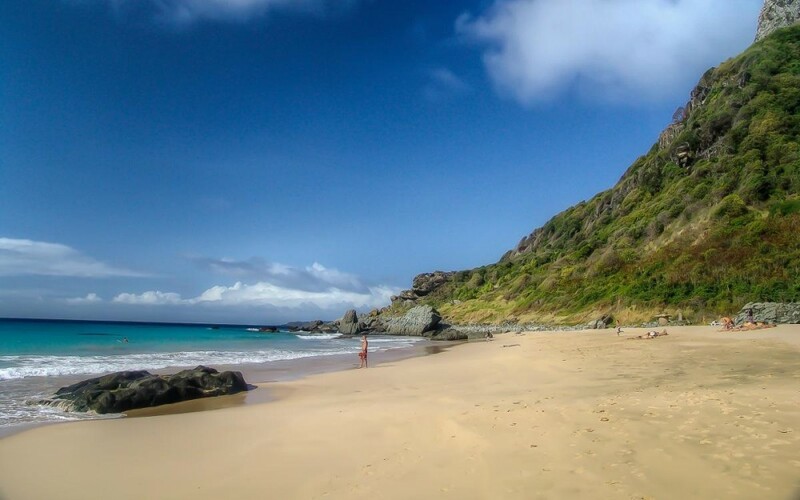 Remoteness certainly accounts for the fascination but there’s much more to Fernando de Noronha’s charm. Discovered in 1503 by a Portuguese expedition including the Italian explorer, navigator and cartographer Amerigo Vespucci, the archipelago is about 340 km (211 miles) from the Brazilian coast and because of its isolation the Portuguese did not care much about the island until 1737, when their presence became more apparent and permanent. 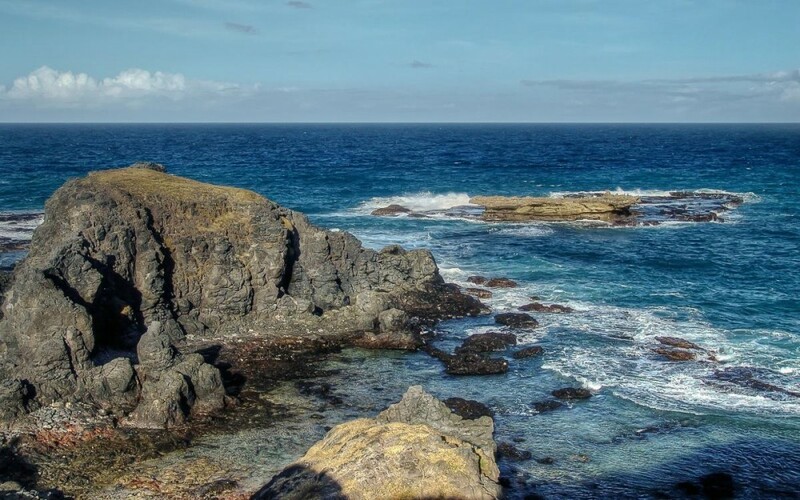 Nevertheless, the distance from the coast and the difficult access to the archipelago allowed it to stay mostly untamed, preserving a very interesting ecosystem that owed Fernando de Noronha the inscription as a UNESCO World Heritage Site in 2001. Forget the Maldives’ luxury resorts (certainly beautiful albeit often – at least in my opinion – a little ‘artificial’). Since water, fuel and electricity are scarce and real estate development has been tightly controlled, most accommodation on the island are simple pousadas (or local guesthouses) and there are only a few more upscale hotels but certainly not comparable to what you would usually find in a luxury hotel chain or resort. 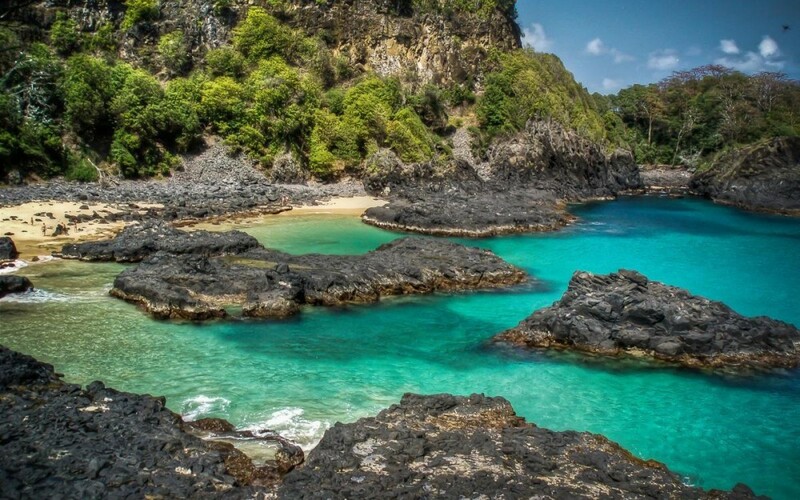 For the same reasons, as well as because of its remoteness and the strict limitation in the number of visitors allowed, Fernando de Noronha is an expensive destination. That’s also what makes this island so special. Nature, breathtaking beaches, a laid-back atmosphere and total chill-out. The pousada where I was staying – like, I think, most of them – was simple but clean and I had what I consider one of the best possible treats: my personal hammock hanging in the porch, where I spent hours reading a good book or just taking a nap, lulled by the rhythmic rocking and the sound of the wind. I experienced a similar concept of luxury – not based on expensive things or service, but on exclusivity and remoteness – the following year in Los Roques, the awesome Venezuelan archipelago with its turquoise, crystal-clear waters. And I knew, once for all, that secluded places, with limited people, are what I call the ultimate luxury. 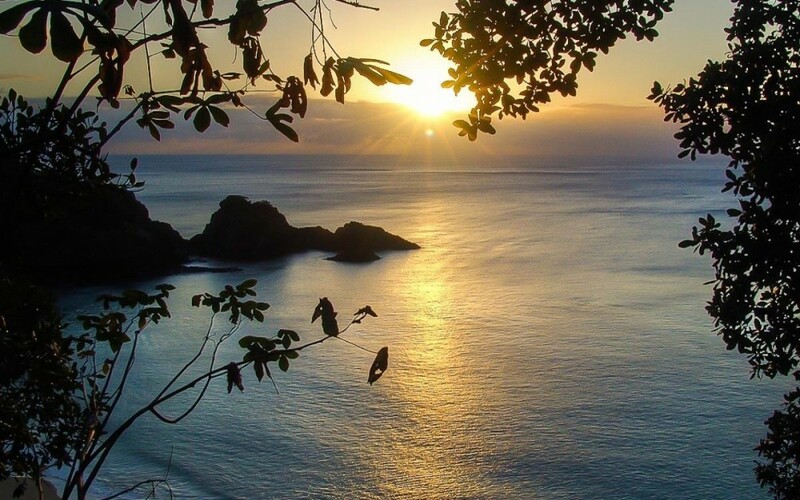 I still have to meet a person who doesn’t like sunsets, and Fernando de Noronha treated me almost every night with beautiful views at dusk. The colours were not as bright as I experienced in Indonesia (I’ll never forget a red sunset in Siladen with colours so vivid to seem unreal); rather the landscape transformed in a palette of smooth and delicate shades of orange, pink and purple. Less intense, perhaps, but so dreamy. One of my favourite spots was the esplanade overlooking the breathtaking Baia do Sancho, one of the best beaches of the island only accessible by steps carved in the stones and a steep ladder fixed on the cliff, or by sea. Every time I think back at my time in this amazing island, I feel blessed and grateful. At that time I still had a corporate job and could afford – albeit with an effort – to discover such a breathtaking place. 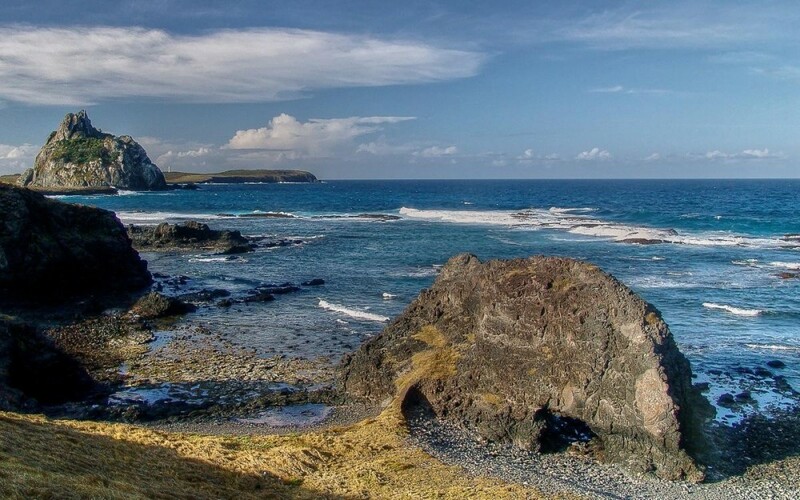 Fernando de Noronha is not for everyone, I won’t deny it, for it’s remote and expensive. But if you ever get the chance to treat yourself with a special trip, this is not your usual beach resort. 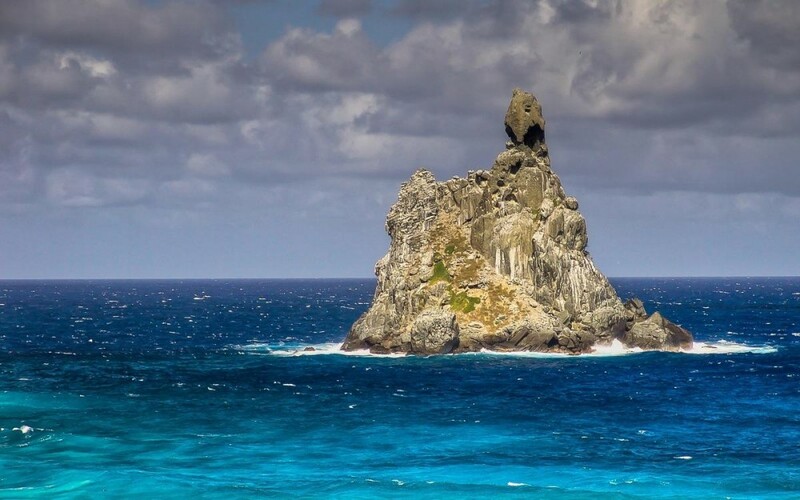 By plane: There are daily flights from Natal and Recife to Fernando de Noronha, operated by the airlines Azul and Gol (data as of July 2014, but you better check as things may change over time). An alternative is to buy a full package from a tour operator, including flights, accommodation and other on-site activities. 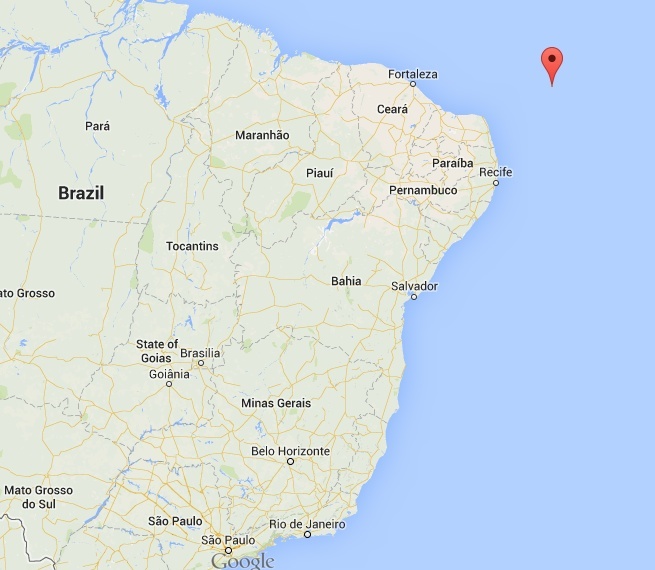 Tip: In case of bad weather, flights to and from Noronha airport might be cancelled. Allow at least one spare day, especially if you have an international/intercontinental flight back in economy class. Getting around: The roads are very limited and the best way to explore the island is by hiring a buggy (and you’ll have a lot of fun!). There are also public minibus but these only drive along the main paved road. Damn this place looks amazing! Can I ask about costs? How much did the flight cost? It really is a special place, Bruno. 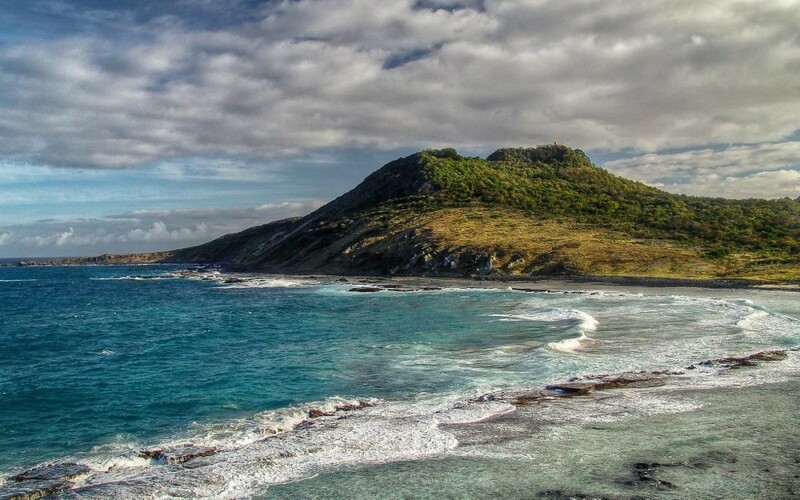 Unfortunately, it’s also very expensive, since they limit the number of visitors per day to preserve the island. I don’t remember how much the flight cost (I took so many in Brazil! ), but it definitely was not cheap. Sorry Simon, I called you Ted! It was a very early morning for me. And yes, great snaps too. Wow … that island is quite far away from the coast, and with views like that, it’s a miracle that it hasn’t gotten developed into a luxury playground. I hope to make it there next year! Outstanding shots throughout, but that shot of the sunset at Baia do Sancho is incredible, you’re really captured the moment perfectly.